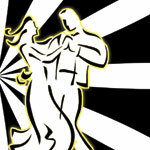 Come dancing at Sapphire′s Black & White Ball! Dress your best, keep it Black & White, and you are sure to have have a Ball this weekend as we gussy up the studio, glide to favorite dance tunes, and dance the night away. 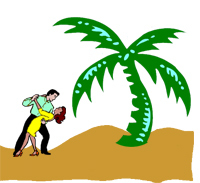 We′ll be featuring Viennese Waltz in the pre-dance lesson - starting simple, but ending flashy enough for a lavish, Truman Capote party. Volunteer to bring a dish to share! 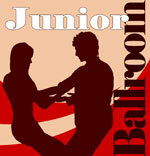 Intended for dancers (or someday dancers) ages 10-19 and their families and friends, this informal gathering will feature a performance by members of the current Junior Ballroom Class, a short lesson, snacks, and fun for everyone. Indulge in yummy snacks, meet interesting new friends, and then (if you want) try dancing during the beginner-friendly lesson all to fantastic music from the 40s, 50s, & 60s. Co-hosted by the Lifelong Learning Institute (LLI) at Virginia Tech and Sapphire Ballroom, this dance party is a perfect example of the many fun ways that you can continue to grow and learn your entire life. You do not not need to be a member of LLI or a student at Sapphire to come enjoy yourself for an afternoon and learn something new in the process. While this event is geared towards 55+, no one will be checking IDs at the door. If you’re able, please RSVP to Sapphire Ballroom at 540-382-8782 or info@sapphiredance.com. Walk-ins are welcome. Always wanted to learn to dance, but didn’t know where to start? Check out this one-night workshop previewing Sapphire Ballroom’s most popular beginner dance classes. Absolutely perfect for new dancers, the Sampler is for everyone interested in trying partner dancing, but not sure which dance to try or which class to take. Come out to see demonstrations from the upcoming classes, hear about discounts, ask questions, and learn a little dancing. This one-hour workshop is your chance to try things out before committing to a 4-week class. Plus - if you sign up for a Blacksburg Group Class while at the Sampler, you′ll get $8 off your registration fee and an $8 coupon to use later this summer!